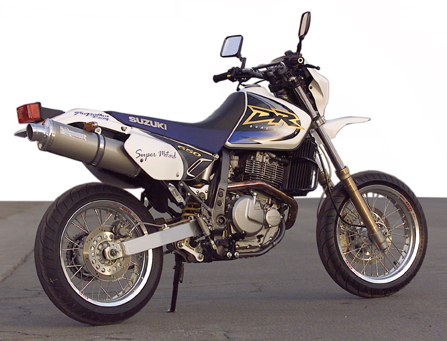 This immaculate Suzuki DR650 is courtesy of Tom Monroe from Two Brothers Racing. Tom adds "After having a 600 kickstarter break my leg, I went to electric start." Two Brothers Racing: High performance sportbike and race products.